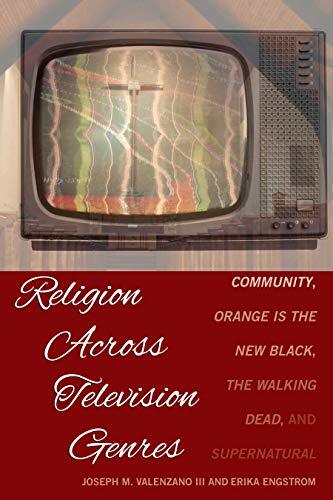 Religion Across Television Genres: Community, Orange Is the New Black, The Walking Dead, and Supernatural bei Whooopeee - Günstige Angebote Online kaufen. Religion Across Television Genres: Community, Orange Is the New Black, The Walking Dead, and Supernatural connects communication theories to the religious content of TV programs across an array of platforms and content genres, specifically the NBC comedy Community, the critically acclaimed Netflix series Orange Is the New Black, AMC's international megahit The Walking Dead, and the CW's long-running fan favorite Supernatural. Its contemporary relevancy makes Religion Across Television Genres ideal for use as a library resource, scholarly reference, and textbook for both undergraduate and graduate courses in mass media, religious studies, and popular culture.